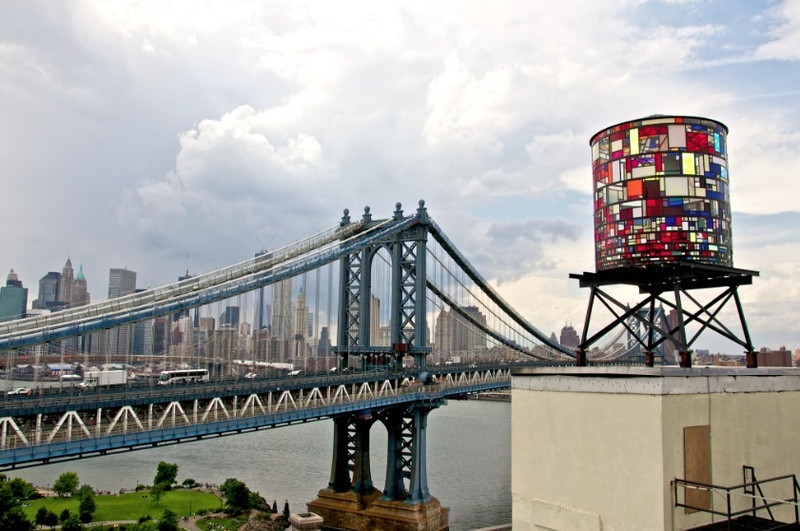 In the 19th century, New York City required that all buildings higher than six stories be equipped with a rooftop water tower. 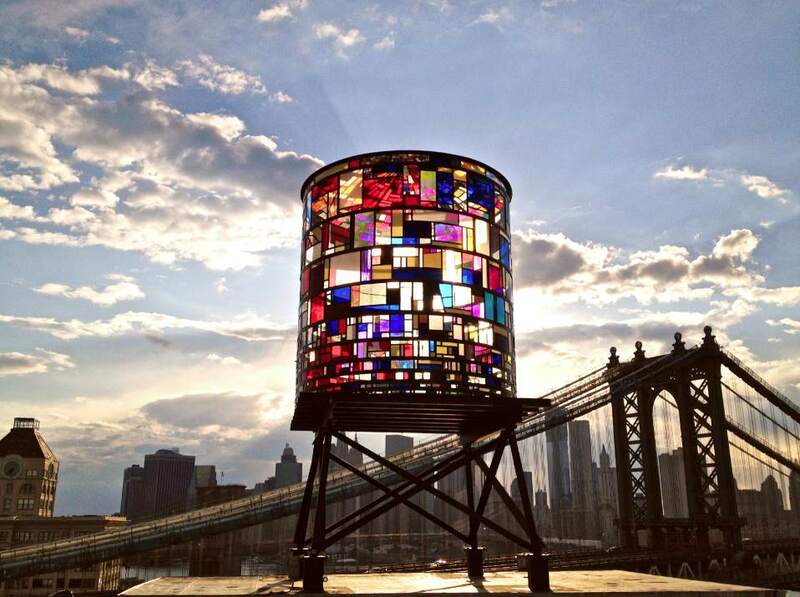 Over a century later and those structures are a distinctive part of the skyline. 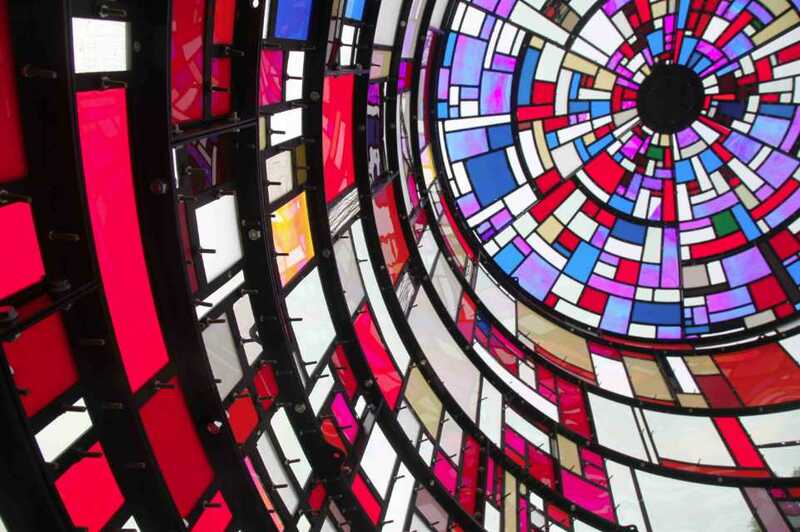 Artist Tom Fruin created this homage on a rooftop at 20 Jay Street. 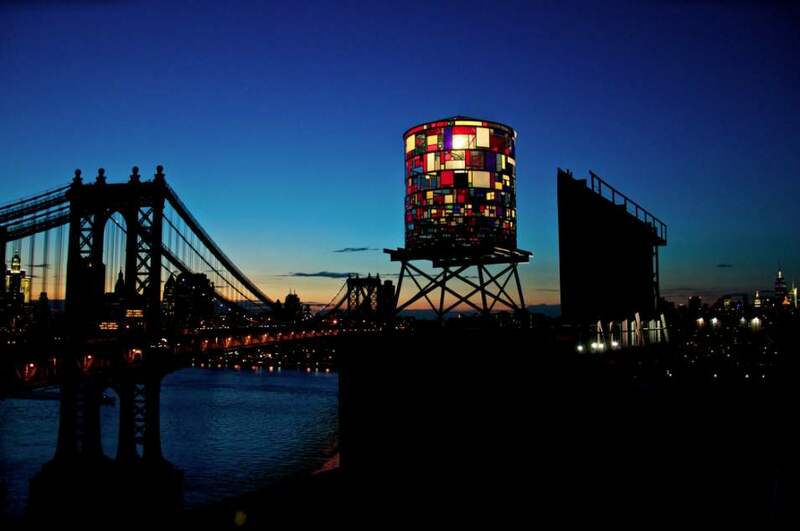 During 2012 and 2013, the sculpture was viewable from the parks and streets of Dumbo, the Brooklyn and Manhattan Bridges, FDR Drive and Lower Manhattan.